The Crimes Against Property Squad reports the arrest of a Queens man for Grand Larceny on Wednesday, July 23, 2014 at 8:15 A.M. in Bethpage. Bethpage, NY - July 24th, 2014 - The Crimes Against Property Squad reports the arrest of a Queens man for Grand Larceny on Wednesday, July 23, 2014 at 8:15 A.M. in Bethpage. According to detectives, Akeem R. Baker, 20, of Merrick Boulevard, Jamaica stole $40,000 from a male victim, 92 years of age. The suspect engaged in a course of conduct which led the victim to believe he was purchasing high end vehicles that were being imported into the country. An investigation led to the arrest of Baker in front of the victim’s residence. Some of the proceeds were recovered. Baker is charged with Grand Larceny 3rd degree, Grand Larceny 2nd degree (Attempt) and Endangering the Welfare of an Incompetent Person 1st degree. He will be arraigned on Thursday, July 24, 2014 at First District Court in Hempstead. 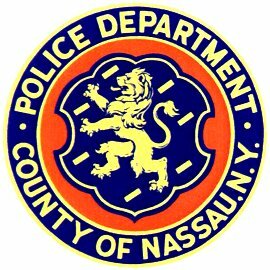 Subject: LongIsland.com - Your Name sent you Article details of "Queens Man Arrested for Swindling Nassau Senior Out of $40k"